The theme was "A Day in August". 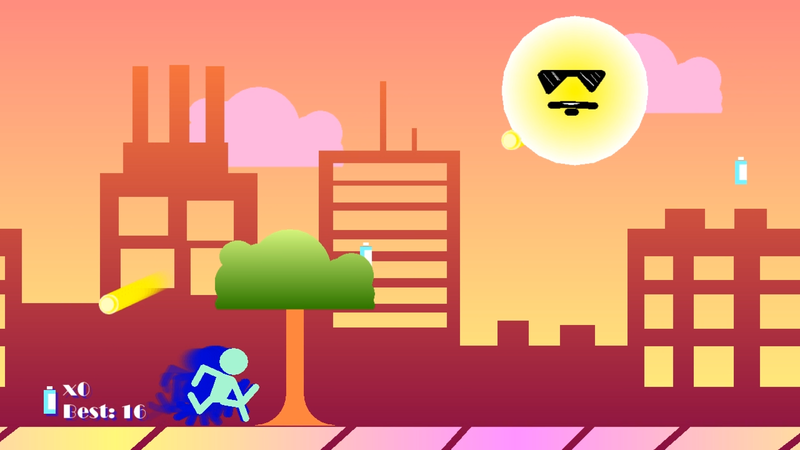 Since August where I live means temperatures of 106°-111° every day, I figured I'd make a game about beating the heat. 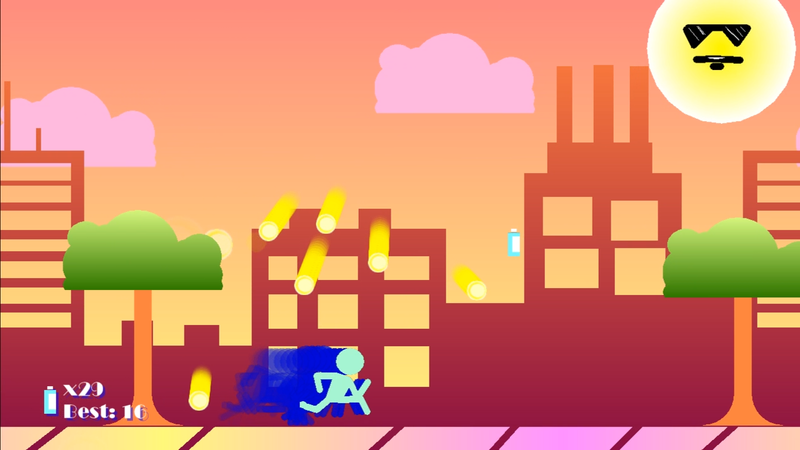 Use the arrow keys to run and space bar to jump. Collect the bottles and avoid the sun's harmful rays. Use trees for shade when you can! Just download the EXE and double click on it. Use the arrow keys to move and the space bar to jump.